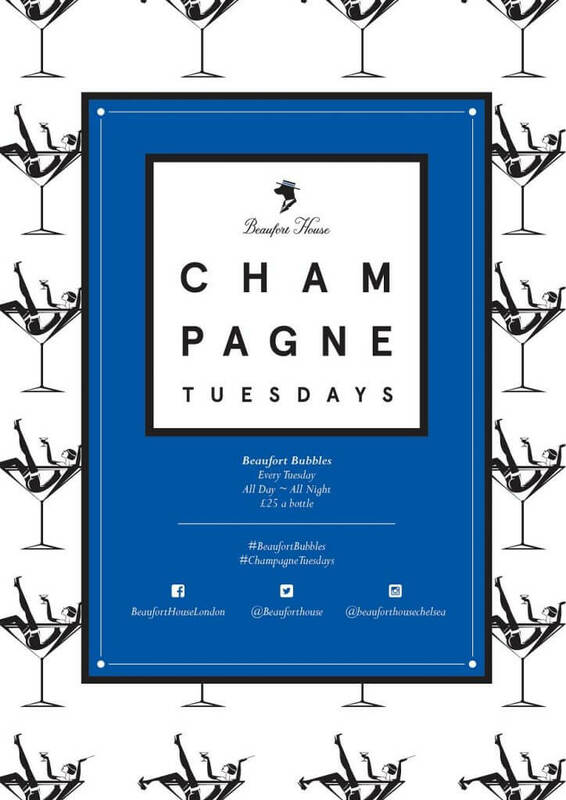 Now that the sun is shining again and spring is finally here we’d like to remind you that you can indulge in some Beaufort Bubbles every Tuesday here at the House for only £25 a bottle! So whether it’s for breakfast, lunch or after work drinks, start your week off the right way…the only way, here at The House! To book a table call our team on 020 7352 2828 today or email info@beauforthousechelsea.com.